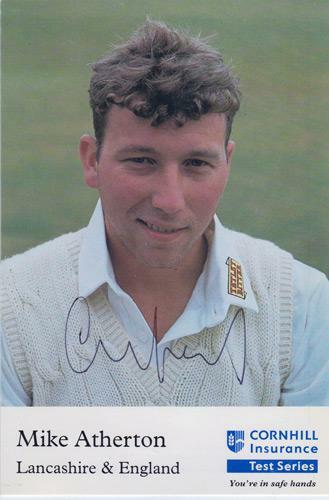 Signed Cornhill Insurance Test Series promotional England promotional photo card. colour pic head shot of Athers. 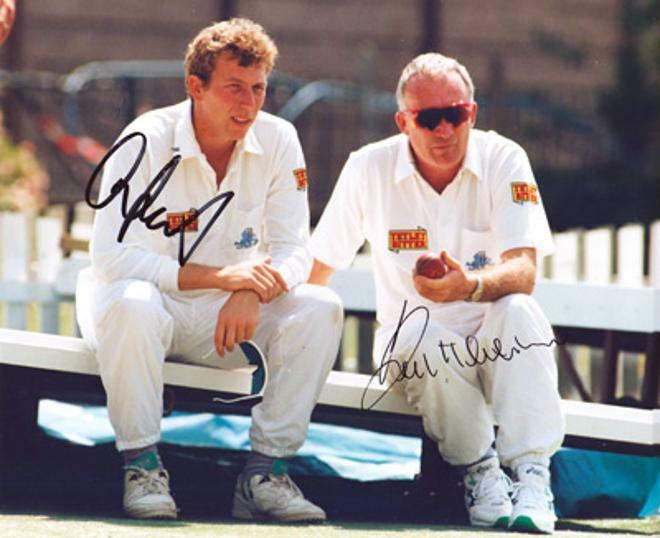 1st Test Match, England v South Africa, Lords, July 1994 by Terence Macklin. 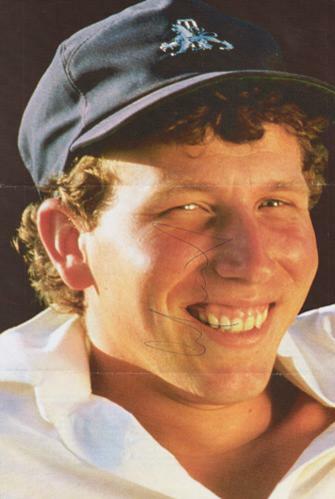 The first test England played against South Africa since 1965. 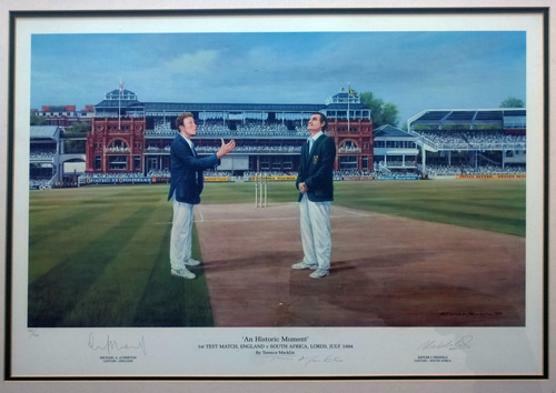 The limited edition print shows the historic coin toss as England captain Michael Atherton tosses the coin, while South African captain Kepler Wessels calls. 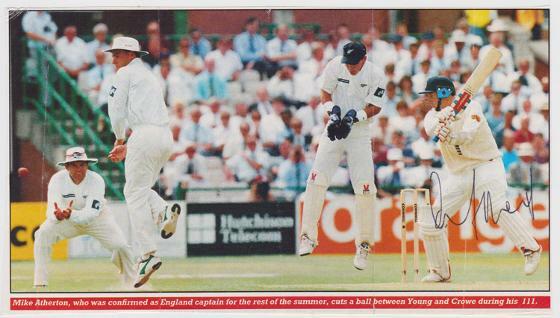 Both men stand in the middle of the wicket in front of the huge Lord's crowd in July 1994. 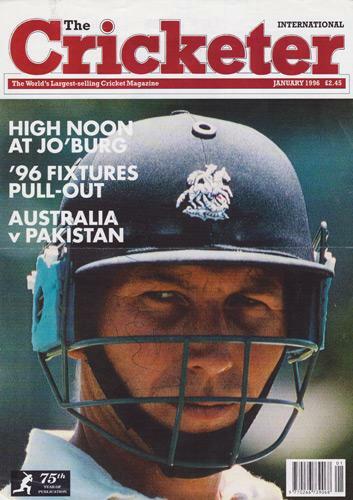 The reason for such a long period between tests was that South African cricket was isolated from the international cricket as a result of a ban by the ICC. 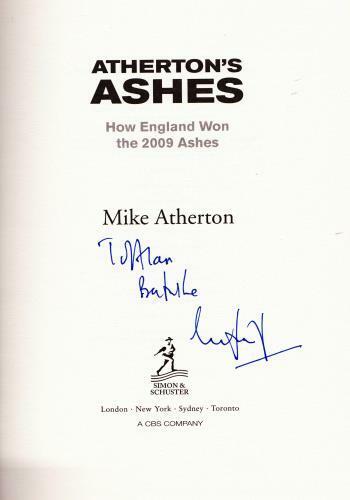 Print is signed by Wessels, Atherton & artist Macklin. 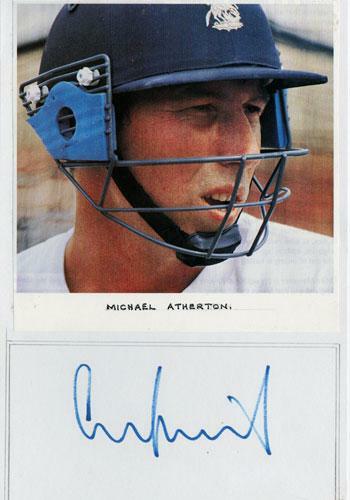 Signed colour press photo of England captain Atherton chatting with coach Keith Fletcher (also signed) during the Old Trafford Test match against New Zealand in 1994. 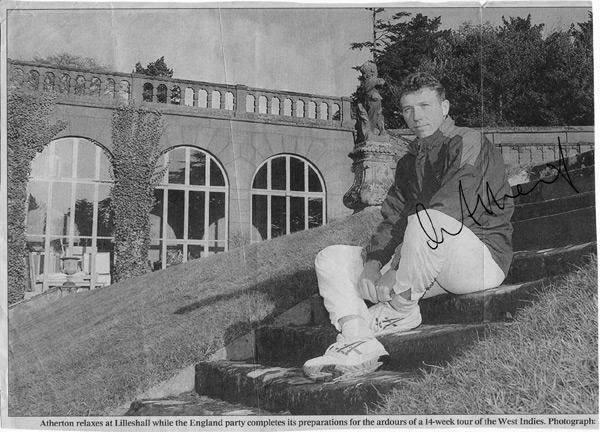 Signed B&W newspaper picture of Athers at the England cricket training camp at Lilleshall ahead of the West Indies tour. 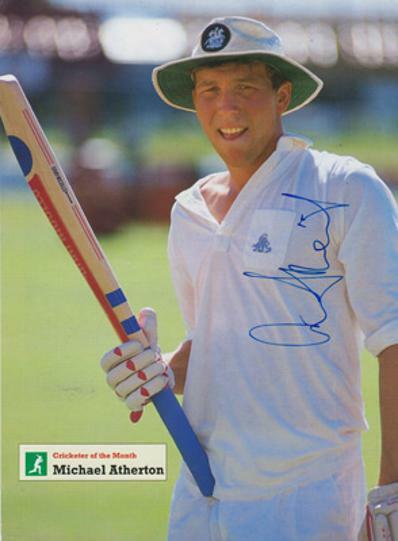 Signed magazine pic showing him in the Old Trafford dressing room before leaving for the England 1995/96 winter tour. Approx 20 x 21 cms. 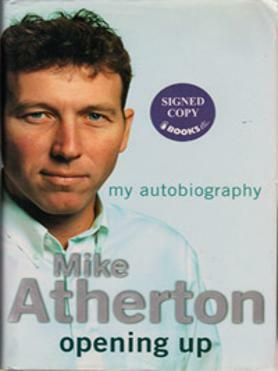 batting v. New Zealand en route to making 111. 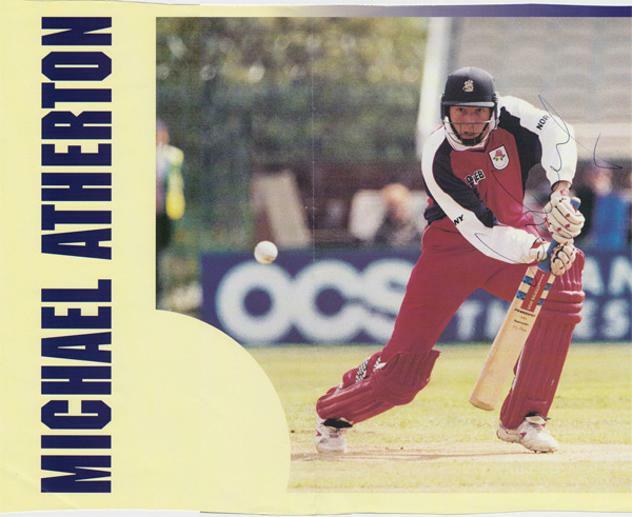 Signed colour mag pic of Athers batting for Lancs in a one-day game. 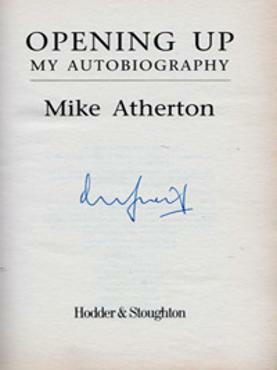 Approx size: 30 x 23 cms. 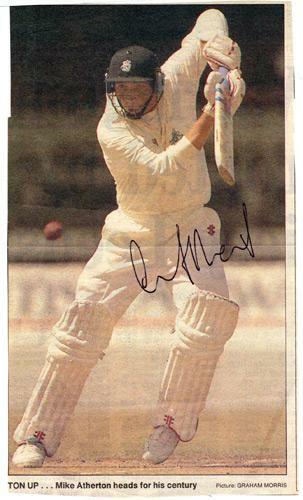 Signed colour newspaper pic of Athers batting for England. 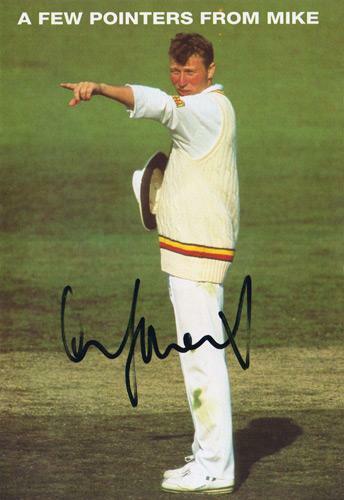 Signed colour Fantasy Cricket card. 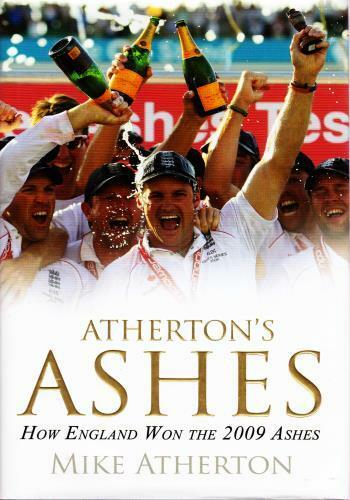 "Atherton's Ashes - How England Won the 2009 Ashes". 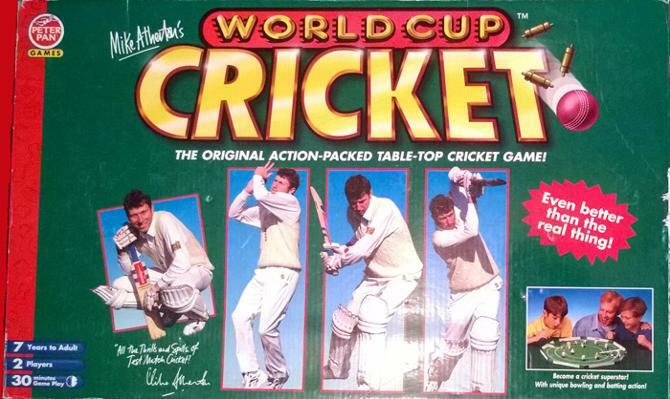 MIKE ATHERTON'S WORLD CUP CRICKET table top game from Peter Pan Games.